Bourrée à Trois will take you to the heart of Brittany and the Center of France with the traditional songs and dances from these regions. Dancers in authentic costumes will demonstrate the bourrée, the mazurka, the schottish and other folkloric dances to the sound of traditional instruments such as the French bagpipes, the hurdy gurdy and accordion. You will be swept away by this music and will soon find yourself in the middle of a “balfolk” singing and dancing along. It’s an invitation to dance for everyone! The band, Bourrée à Trois, performs concerts and dances at many festivals, folk clubs, museums and restaurants in and around Toronto. 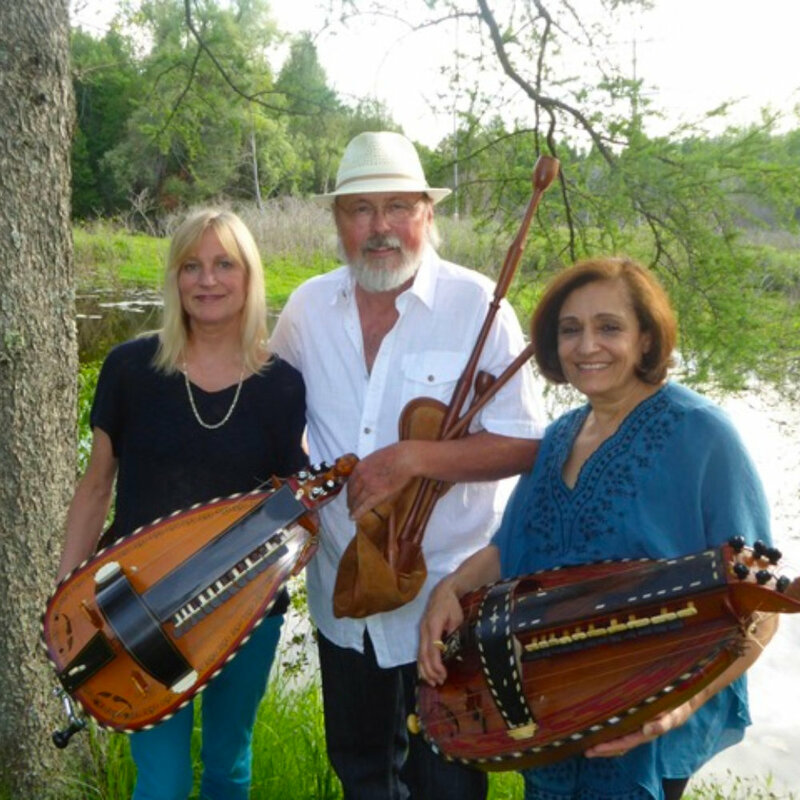 The Bourrée à Trois musicians are Robin Angus (bagpipes, saxophone, whistles, oboe), Andrea Haddad (hurdy gurdy, accordion, voice) and Sandra Spencer (hurdy gurdy, recorder, percussion). Dance and costumes: Karen Bennett.